Requirements: Shade for best results; partial shade is fine in cool areas. 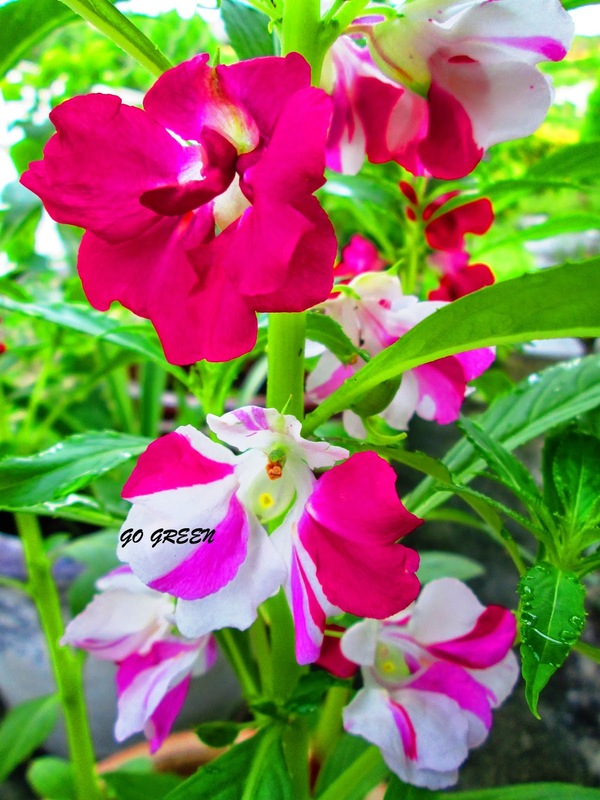 Impatiens balsamina is a species of Impatiens native to southern Asia in India and Myanmar. 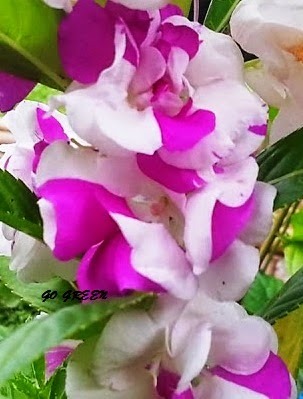 It is called kamantigue in the Philippines. This species of Kalamantigue are used in teas. Boil the seeds after drying and you will get a tea. The ripe seed pods explosively burst when touched, giving rise to the name "Touch me Not”. 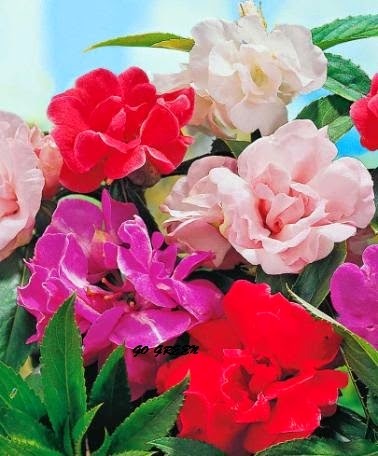 The flowers are red, pink, purple, or white, and 2.5–5 cm diameter; they are pollinated by bees and other insects, and also by nectar-feeding birds. Different parts of the plant are used to treat disease and skin afflections; the leaves, seeds, and stems are also edible if cooked. Juice from balsam leaves treats warts and also snakebite, while the flower can be applied to burns to cool the skin. 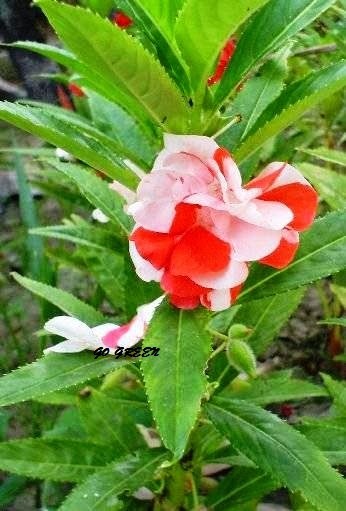 Impatiens balsamina has been used as indigenous medicine in Asia for the treatment of rheumatism, fractures, and fingernail inflammation. 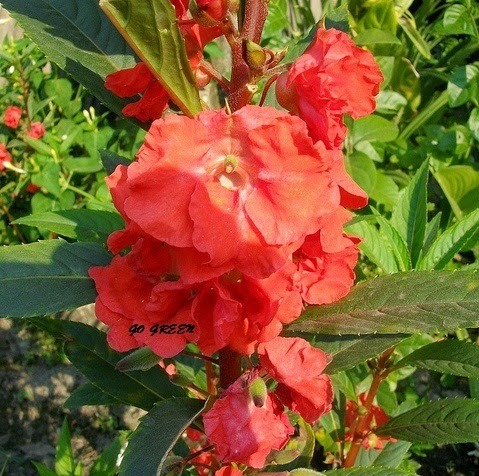 In Korean folk medicine Impatiens ('Bong Seon Wha Dae') has been used to cure constipation and acute gastritis by meat. 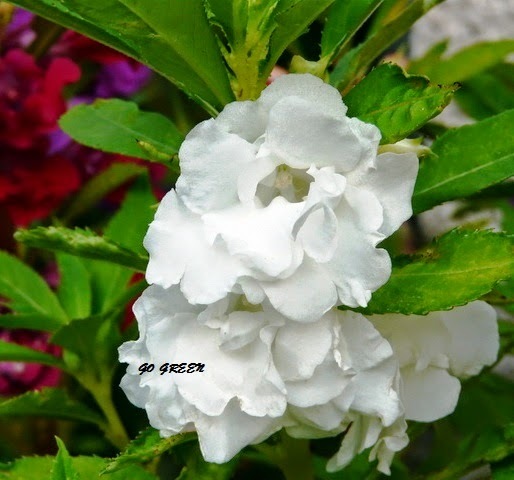 It is widely cultivated as an ornamental plant, and has become naturalised and invasive on several Pacific Ocean islands.